1 - Sense of direction - we are engineered as goal-seeking mechanisms. 7 - Self-acceptance - "you" are not your mistakes"
And of course, on your own website! Booksurge is contacting publishers and requesting that they use Booksurge to print their books - or have their Buy Now button removed from their listing on Amazon. This will affect many publishers and authors! The greatest volume of my sales go through book stores, so a listing with Ingram is far more important to me than a listing on Amazon. But I know many authors & publishers rely on Amazon. This is really going to shake things up if Amazon eliminates all other digital/POD printers. As of 3:30pm today, I have finally completed all re-edits on Book I!!!! What began as a 173,923 word novel is now only 151,464! It is tighter, more concise, better grammer, and missing a couple continuety errors. (Dang, and I thought I had all those!) But most important, it is now up the the same standard of quality as the last three books. First efforts are so first efforts! Deadlier fires seethe beneath the tenuous calm of a nation recovering from brutal civil war. Anthropologist Vicki Andrews is researching Guatemala’s “garbage people” when she stumbles across a human body. Curiosity turns to horror as she uncovers no stranger, but an American environmentalist—Vicki’s only sister, Holly. With authorities dismissing the death as another street crime, Vicki begins tracing Holly’s last steps, a pilgrimage leading from slum squalor to the breathtaking and endangered cloud forests of the Sierra de las Minas Biosphere. But every unraveled thread raises more questions. What betrayal connects Holly’s murder, the recent massacre of a Mayan village, and the long-ago deaths of Vicki’s own parents? He offers book design services and tips, as well as some warnings! Acting upon a recommendation, I have developed two new seminars to add to my list - "Bashful to Bold: Uncovering the Leader in You!" and "Promoting in a Virtual World!" The first one has some of the points covered in my Overcoming Obstacles, but focuses on the role of a leader, while the latter covers all products and services and focuses just on the Internet. And believe me, there's enough there! Now I have five seminars, plus the characterization session! "Don't let tradition paralyze your mind. Be receptive to new ideas. Be experimental. Try new approaches. Be progressive in everything you do." - David J. Schwartz, Ph.D. "The Magic of Thinking Big"
If you are a publisher or considering self-publishing your work, I recommend joining one of the listed publishing groups. The wealth of information you can learn from others is well worth it! "You should have business cards printed up with your name and the title of the book or books you are currently promoting. You might even want to have the cover of your main book reproduced on the back (or front) side of the card. Once you have the cards, give them to everyone you meet who might have any interest (however remote) in your book." Do the same with book marks! Once, in a cottage above the cliffs on the Dark Sea of Darkness, there lived three children and their trusty dog Nugget. Janner Igiby, his brother Tink, their crippled sister Leeli are gifted children as all children are, loved well by a noble mother and ex-pirate grandfather. 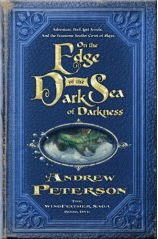 But they will need all their gifts and all that love to survive the evil pursuit of the venomous Fangs of Dang who have crossed the dark sea to rule the land with malice and pursue the Igibys who hold the secret to the lost legend and jewels of good King Wingfeather of the Shining Isle of Anniera.Andrew Peterson spins a quirky and riveting tale of the Igibys’ extraordinary journey from Glipwood’s Dragon Day Festival and a secret hidden in the Books and Crannies Bookstore, past the terrifying Black Carriage, clutches of the horned hounds and loathsome toothy cows surrounding AnkleJelly Manor, through the Glipwood Forest and mysterious treehouse of Peet the Sock Man (known for a little softshoe and wearing tattered socks on his hands and arms), to the very edge of the Ice Prairies.Full of characters rich in heart, smarts, and courage, On the Edge of the Dark Sea of Darkness presents a world of wonder and a tale children of all ages will cherish, families can read aloud, and readers’ groups are sure to discuss for its layers of meaning about life’s true treasure and tangle of the beautiful and horrible, temporal and eternal, and good and bad. "Designing an attractive and informative cover may be the most important single piece of promotion you will do for your book ... The purchaser of a novel is most likely to buy on the basis of recommendation from a trusted source or on information gathered and impressions formed while browsing." These come from author Dyan Garris! Dyan Garris is the author of Voice of the Angels Spiritual Cards, The Book of Daily Channeled Messages, Talk To Your Food! Intuitive Cooking, and Fish Tale of Woe – Lost at Sea. In 2005 she created a series of music and meditation CDs for healing, Automatic Chakra Balance,™ and vibrational attunement of mind, body, and spirit. For many years Dyan Garris has been counseling clients in order to help them move forward in their lives. She is clairvoyant, clairaudient, and clairsentient. In addition, Dyan is also what is known as a voice recognition psychic and trance channel. This means that she can help her clients via telephone, which is how she conducted her readings throughout her career. Dyan is the author, developer and artist of Voice of the Angels – A Healing Journey Spiritual Cards. This is a thirty card deck of angel cards based upon scenes from A Healing Journey Guided Fantasy. Each hand illustrated card has its own channeled message in rhythmic quatrain verse from the angels. Free angel card readings are available on her main website. A journal is available separately as an integrative tool for use with the cards and a meditation journal is available for use with the CDs. 1- How do you know when a really long story is ready for submission to publishers? How can you tell if it’s good enough? Your story is ready for submission to publishers when it’s thoroughly polished, like a brilliant diamond. It’s good enough when it’s the absolute best you can do. 2- I find it hard to prioritize my writing – got any tips or pointers? Focus is key. It’s when we get taken off our center that we have challenges with focus and priorities. It isn’t enough to set a goal to write. You have to take the steps necessary to accomplish that goal. This means that you have to eliminate all of the excuses. 3- Have you any general tips or pointers for people wanting to get published? How do you decide which agent/publishing house/magazine to send your work? There is a way to accomplish anything you want to accomplish. There are no limitations unless you believe there are. When deciding where to send your work, you need to do your homework. Send it to people that specialize in your genre and that you feel a resonance with. 4- When I’m writing, I often get distracted to the point I lose my focus. Does this happen to you and how do you avoid distractions? As a clairvoyant counselor I focus for a living. In order to do a reading for someone I have to be able to focus effectively enough to hold the energy for a sustained period of time. I can focus to the point of having my teeth drilled without anesthetic. So, really I don’t totally understand distraction. But if you find yourself distracted, it’s probably because you don’t really want to do something. And if you don’t want to do something, there is probably some fear at the very base of that. 5- How do you write a catchy query letter? Exactly how important is the query letter and what aspects are vital to a good one? I believe the query letter is the single most important tool to finding an agent or getting your work published. You have to be clear and concise, yet original and the passion you have for your project needs to translate. It needs to jump off the page. 6- Where do you get your inspiration?My inspiration comes from above and within. Everything I do is a co-creation. When my will is aligned with Universal will, the creativity just flows. My online writer's club, The Writer's Meow, came up with questions they would ask an author if they could - and I was lucky enough to have four other authors assist me with the answers! 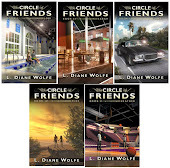 Wolfe’s series, The Circle of Friends, focuses on the pursuit of dreams and the overcoming of obstacles. The stories intertwine as the characters learn that with belief and encouragement, they can achieve anything. Meant to inspire as well as entertain, Wolfe’s books have been described as “encouragement personified”. Traveling the East Coast to promote her series, Wolfe sets herself on a heavy tour of extensive book signings and speaking engagements. The author averages over one hundred appearances each year, maintains a website & blog for her series, and contributes articles for several other sites. She conducts seminars on publishing & promoting and goal setting, participates in book fairs, speaks to schools, and does many media interviews. 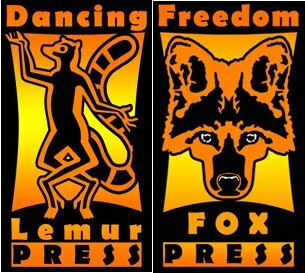 She is in the process of opening Dancing Lemur Press and will begin accepting submissions this summer. Wolfe is located in Eastern North Carolina. For more information, visit The Circle of Friends website- www.thecircleoffriends.net. Nikki - I had one story that I initially thought would be one book and its going to easily be three. In order for that to work, each book has to stand on its own as an independent book and the books also tie to one another. Many times, there is a place in the story that feels like a "natural ending". If there is more that you want to tell after you reach that point - think about a second book. Remember that every story needs a strong beginning, middle and end. If you're pushing a "sagging" story – it’s very possible that it could be cut and would be a better story. I've read some books that honestly would've been much better if the writer had "tightened" the story - instead of rambling and taking the story in too many directions. It’s all part of learning the craft of writing and creating a powerful story. Judith - This was generally not an issue for me. As a non-fiction work, I just covered the material presented in my workshops. However, I know I could have gone into much more detail than I did and actually worked with a friend who was a business writer for the newspaper that used to cover me who cut out a LOT of unnecessary words to make the writing more succinct. People today are too busy to read a lot of detail and many readers told me they appreciated that they did not have to wade through a lot of stuff to get to the meat they were looking for. Advice: get a good editor who can help you with this. You think everything you write is worthwhile and hate to chop anything, but keep your reader in mind. Jamieson - Well, that's a toughie. Like all writers, I'm my own worst critic. But usually a manuscript is ready after a lot of editing and polishing. It also has to speak to me. I have to feel involved in the writing of it, I have to care for the characters, the elements of the story. If I don't care, how can I expect readers to do so? Usually a manuscript is ready to be sent out to publishers when you feel it's ready. Each writer is different so this will differ for each writer. Just trust your instinct and you'll do fine. Jocelyn - I actually had the biggest problem deciding when my shortest book was finished. I worried that I had not included enough information. But after reading through it several times, I realized that the focus of the book was very clear. It was short, sweet and succinct. I knew I needed to leave it alone. My goals in writing the book had been accomplished. It is important to not only know our subject, but to also be able to nail down exactly what it is we want to say about that subject. Otherwise we could ramble on indefinitely, sharing a great deal of information but end up making far less impact with our writing. Jocelyn - Assign it a deadline. Deadlines definitely get priority. If a project of mine has no deadline, then it usually gets regulated to the bottom of the priority list and remains there until…. Nikki - This depends on the number of distractions in life and in your house. If you have family in the house - it can be tougher to set limits and to prioritize. With family in the house - I've had some friends mention that they set aside a specific area and tell the family that is the "work" area. But, you need to stick with that idea. Our discipline about writing and limiting distractions can help family and friends to respect your writing and the time it takes. This includes not setting it aside to chat with someone at the door or on the phone. Its also good to set aside a specific time to write - sometimes it needs to be placed on your day planner and then we need to stick with it. Set aside some time each day - if at all possible and then do something related to your writing during this time. I did this when I worked a full time job and I planned my weekends to have a certain amount of writing time and housework etc time. Jamieson - Focus on one project at a time. For example I work on many different things at once. But I make sure that my focus is always only on one project. I may work on my current novel one day, write an article the next. If I'm writing on a deadline, all other projects will get put aside until that piece under deadline gets finished. Then I'll have time afterwards to play around with my other works in progress. Don't get discouraged. Every writer has a system that works for them but focus is important. Jamieson - Reasearch research reasearch! Most publishing houses don't need agents, but the theory is the same. If you're writing romance, take time to search the web for different romance publishers and agents. Make sure you read their FAQ's for formatting and what they're looking for. It's also a good idea to buy a few books from that publishing house or take a look at what they publish. This way you'll get a good idea of what kind of work they publish and whether or not your work will fit. And keep submitting! Don't get discouragd by rejection. Just because one publisher didn't like it doesn't mean that others won't. You just have to find the right one. Judith - The MOST important thing I tell people is to make sure you know specifically for whom you are writing the book! Who will want to read what you want to write? Then you can put yourself in the shoes of your audience and write for them and to them -- give them what they are looking for. This is easier in a work of non-fiction, but that's all I know about. As to the second question, I have no experience. I decided early on that I believed in my project enough, knew who would want to read it, and did not want to wait to try to find and convince an agent/publishing house that it was a worthy project, so I self-published with a plan of how I would recoup the money I had to lay out personally. Also, buy a 3 ring binder and put a piece of paper with your working title in the front vinyl flap and put it where you can see it every day. Put your outline and every chapter that you write into it as you finish it. Pretty soon, when you have a few chapters, it will look like a book and take on a life of its own and be an encouragement to you to keep going. Diane – No matter which route you decide to take, research the industry! If you don’t know what you are doing, you will not be successful in any venture. Ultimately, it all depends on your level of commitment, knowledge and goals for your work. You will have to do a great deal of the marketing regardless, so be prepared for that aspect. If you decide to submit your work, search for publishers accepting your type of work – and yes, use Preditors & Editors!! (If you see red type, avoid that publisher/editor/agent!) And in this day and age, when agents & larger publishers are just looking for bestsellers, self-publishing is a very viable choice for many authors. Nikki - I think this really depends on the writer's goals and they also need to determine if their goals are realistic. We all feel our books are wonderful and should be bestsellers, but that isn't realistic and especially with a first or second book. (It happens but that is the exception.) Do you want to be with a big NY publishing house and are you willing to dedicate the time and effort to pursue that avenue and to promote your book? Remember that books released by NY publishing houses have a short shelf life - can you live with that? Or, do you want to see your books in print and have more flexibility about the book, the content, how long it is available and many other things? Then a small press could be the option for you. No matter what you decide, it is good to honestly research each possibility - not just reading the publisher's website - get information from other sources. Also get information from a variety of sources, there is plenty of information online that isn't completely accurate. It is very good to check Preditor and Editors publisher's list before making any decision and talk to other authors that have chosen the same publishing route - that isn't foolproof, but it helps you to see more sides of the situation. Jocelyn - I asked many questions as I began my publishing journey. Did I need an agent? Did I want an Agent? Should I self-publish or submit my manuscript to a traditional publishing house? Were there any other options? Jocelyn - Yes. I am highly susceptible to distraction. When I am working on an important project or deadline, I turn the ringer off my phone, open my word document, and restrict myself from going to any online site (especially from checking email) until my writing goal for the day is accomplished. Nikki - My biggest distraction is my research. I tend to research and get off course because I find other information that is related to my book research. Also, having that specific place and time to write can help with this problem. For me, having a loose outline or plan for the part of the book I'm working on, helps to keep me focused. If the story veers off course, that's fine. The plan helps me to remember what I'm trying to accomplish. I have very little time to write my books, so finding ways to write faster is critical and that means I have to stay focused and stay on track when I have time to write. Judith - Of course it happens! Especially if you are not sure exactly what you want to write about (or if you have kids around the house or a spouse who comes in a lot!) But once you are locked into your subject matter, you get more focused. I found my material just kind of poured out as I got going and the house could have caught on fire and they'd have to come drag me away from the computer! Set a reasonable goal. For some that means writing for an hour each day. For me, as I was running my consulting business while writing the book, my goal was to write a chapter a week. Diane – Distractions happen! My life is in a constant state of balanced, chaotic distractions. But setting a clear outline of work of which I am passionate will keep the distractions to a minimum. And when I am in ‘the zone’, yes, the house could catch fire and I’d never notice! Jamieson - I always get distracted. The only way to avoid distraction for me is to have some good music on my MP3 player, plug in the ear phones and write. I turn off my modem and ignore the phone. Usually I listen to music without lyrics so that I don't start singing along and get distracted that way. But sometimes the lyrics help to inspire. Try it and see. It's a great way to block out the sounds of the outside world when you should be writing. I would like to submit my _______novel titled ______. It is complete at ______ words. I have attached ________ as requested. (Many publishers will ask for either the full manuscript or sample chapters depending on where you are submitting. Make sure to include the word count, as that's important. Here, give a brief summary of your story/novel/novella. Keep it brief and catchy. Remember, you're trying to sell your story to the publisher so try to make your story stand out. During my time as a writer, I have had several of my works published. These include the novels The Ghost Mirror, Cupids Delight and Valentine. I currently teach an online course about how to write from inspiration and live in Ottawa Ontario Canada with my husband Robert and my cat Mave, who thinks she's people. Here you can sum up with something simple: I hope you enjoy ___(Novel title)____. Thank you for this opportunity and I look forward to hearing from you. Diane – How important is the query letter? If you are submitting your work to a publisher, it is the most important piece you will ever write in your life!!!! Look up examples of good query letters and follow the format to a T. Most submissions end up in the trashcan because the submitter could not follow the basic rules of a properly formatted query letter! Jocelyn - My approach to writing a query letter is that it takes essentially the same information to incite interest in a book, whether aimed at a reader, agent or publisher (my query letter for Woman Submit! eventually became the introduction to the published book, almost verbatim). As requested by the agency I queried, I limited my query to one page. I led with a grabber designed to hook the agent hoping she would read past the first sentence—she did. I had done my homework in advance, so I understood exactly what information the agency was looking for and crafted the letter accordingly. I included compelling information about the book, specific questions and issues it addressed, the target readership, my qualifications as an author and why my book could be considered a unique resource in its genre. My query did the job it was designed to do. I received an almost immediate response from the agent—and it was not a rejection letter. 6- Where do you get your inspiration? Judith - I knew I had some valuable information to impart that would help other people so that they would not have to learn some of the lessons I learned the hard way. I knew there were not many books out there that would do what I intended to do. I was also inspired because I was told by many people that writing the book would help me build up my consulting and speaking/workshop business, as being the author of a non-fiction book provides a person with added credibility as an expert in their field. Nikki - I can get inspiration from almost anything. It could be a news story, something I see, much of my inspiration comes from places or areas that I visit. My Misty Cove series was initially inspired by a picture in my living room and it will be at least 3 books. I've learned to keep my mind open and to think outside the box - there are many ways to find story ideas, but you need to be open to the possibilities. Keep your eyes and ears open - there are story ideas at every turn. Research is also a great way to find new story ideas or ways to expand an existing story idea. Jamieson - From anywhere and everywhere. Something I've read or seen. I get a lot of inspiration from conversations I've overheard or people talking in front of me in lines. You'd be surprised what you hear when you listen. I get a lot of inspiration from dreams too. I write them out into short stories to try and make sense of them. Jocelyn - Much of my inspiration comes from interacting with readers. I began writing in earnest when I discovered online discussion groups dealing with my favorite topics. Along with many questions and challenges, the group discussions provided immediate feedback and encouragement. I found I thrived on it all! Though sometimes exasperating and downright difficult, I found inspiration in the challenges presented to me through the discussions and debates. My schedule no longer permits me to spend time with the interactive groups, but I consider that experience as invaluable to my growth as a writer and in learning to define exactly what it is I want to say and how I want to say it. Readers continue to contact me with encouragement, challenges and questions. And I still find their feedback to be a great source of inspiration. 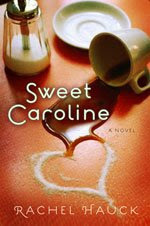 When a Southern waitress inherits the Lowcountry cafe where she works, she suddenly has to balance more than just her next food order.Caroline Sweeney has always done the right thing--the responsible, dependable thing--unlike her mother who abandoned her family. But when her best friend challenges her to accept an exciting job adventure in Barcelona, Spain, Caroline says "yes" to destiny.Then, without warning, ownership of the run-down cafe where she's been waitressing falls right into Caroline's lap. While she's trying to determine the cafe's future, handsome Deputy Sherriff J.D. Rand captures Caroline's heart.But when her first love, Mitch O'Neal, comes back to town, fresh from the heat of his newly-found fame as a country music singer in Nashville, Caroline must make some hard choices about love and the pursuit of the sweet life. Is Writing What You REALLY Want To Do? "Make sure that the career you choose is one you enjoy. If you don't enjoy what you're doing, it will be difficult to give the extra mile, effort, and devotion it takes to be a success. If it is a career that you find fun and enjoyable, then you will do whatever it takes. You will give freely of your time and effort and you will not feel that you are making a sacrifice in order to be a success." In addition to using a paid service, don't forget to use the free ones! In John Kremer's book, "1001 Ways to Market Your Books", he offers the idea of promoting your books to companies as premium & incentive sales. Business premiums involve your book being given away with the purchase of another product. Businesses give gifts during the holidays - why not your book? Your books could be used for referrals. Lilly Walters has a fantastic book entitled “1001 Ways to Make More Money as a Speaker, Consultant, or Trainer”. In one of the sections, she talks about having a product to sell with your presentations. If you are an author, you already have a product – your book! Begin designing a program around the subject matter of your book. If it is non-fiction, then you can offer expert advice in that particular field. Even if it is fiction, you can usually find a topic on which to speak. This can eventually lead to another book focused solely on your presentation that can be sold during your speaking engagements. So get creative – what do you have to offer others? Also look through the listings of Yahoo Groups - there are writing & author groups for every genre! Every chance you have to go somewhere new, meet new people, learn new things - go for it! The past few days I have met some incredible people as I have been out teaching my seminars. I have learned so much from them!! I will be forever grateful for the opportunity. Every day provides a new one, and I always give it my all. Are you giving every day your all? What Can a Dentist Teach You about Business, Life and Success? Discover Secrets to Achieving Total Success! What would it be worth to learn how to become incredibly successful from someone who built a multi-million dollar empire from the ground up, has been happily married for over three decades, is in top physical shape in his late fifties, and has a strong spiritual foundation that guides his life? Are you ready to learn what it takes to have a life filled with more joy, more happiness, more abundance and more fulfillment starting right now? Then you are ready for What Can a Dentist Teach You about Business, Life and Success? Discover Secrets to Achieving Total Success! an incredible book by the Total Success speaker and author, Dr. Joe Capista. Dr. Joe Capista is recognized for his unique approach to business, life and success. As the owner of one of the most successful dental practices in the United States, Dr. Joe Capista has an exceptional understanding of what it takes to create a successful business and a successful life while maintaining balance both personally and professionally to create Total Success. Dr. Capista oversees operations for Williamsburg Dental, a multi-million dollar practice located in Broomall, Pennsylvania metropolitan area. Williamsburg Dental has been serving clients for over 25 years and has an outstanding reputation for quality patient care. Dr. Capista and his entire team deliver the most advanced, proven dental treatments to their patients. Dr. Capista is The Cosmetic Dentist for the NBA Philadelphia 76ers Dance Team. For over two decades, Dr. Capista has been on the leading edge of business trends including understanding what drives your team to perform at top level, what motivates a client and customer to do business with you and how to create a life most only dream of. His unique approach to marketing a business is fast becoming a highly sought out strategy by numerous types and sizes of businesses. Joe combines a unique understanding of the workplace, personal development, implementation of effective systems, spirituality and overall balance and possibility into all he does. He is highly recognized for his ability to teach clients how to maximize dollars for both Internal and External Marketing in order that they gain optimum results. Dr. Capista has successfully incorporated overseeing operations for his business into being a highly requested speaker and trainer. A content driven, inspirational speaker, Joe makes audiences think and leaves them wanting more. His message is simple: be committed, do what you love, love what you do, live with passion, give back to your community, and create balance in all areas of your life to enjoy a life beyond your wildest dreams. Dr. Capista presents to groups ranging from small business owners to CEOs of Fortune 100 corporations. His easygoing presentation style makes him an audience favorite. "The two best days for your book to arrive on a reviewer's desk are Thursday and Friday." "Generally, January and February tend to be the best months for submitting your book for review ... avoid sending these October & November ... The second worst months are April & May."